The art of woodturning is of uncertain origin, though it is believed to have originated with the Egyptians. In Rossellini’s work on Egypt he depicts a drill and drill bow. The drill itself appeared to be a piece of turned wood and the drill bow provided reciprocal motion in a manner similar to a method used in early lathes. To rotate the piece of wood, the bowstring was wrapped around the piece of wood and then the bow was sawed back and forth. The lathe, the main tool used in woodturning, is believed to have been developed from the desire of man to model objects found in nature. 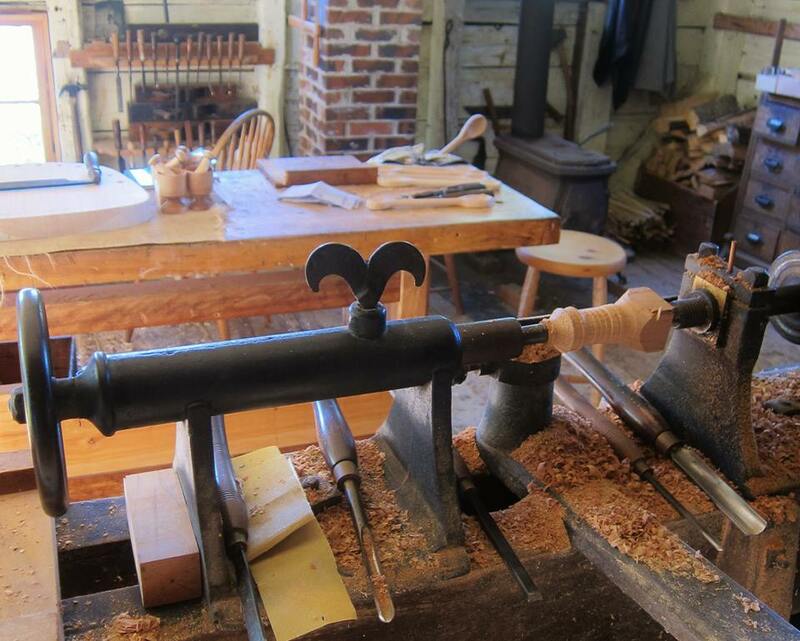 Early lathes were made of wood and were operated by a bow or spring and treadle, but eventually woodturners adopted the wheel to supply continuous, rotary motion to the lathe. At first, the wheel was turned by hand, but over time kick wheels, similar to those used by potters, became common. The addition of a kick wheel allowed the woodturner to work almost without help and supplied enough power to the lathe to turn most work. In Europe, a treadle was attached to the lathe to make the work of turning the wheel easier. The treadle reduced the range of motion required by the woodturner and allowed him to sit more comfortably to do delicate finishing work. The woodturner not only used a lathe, but also many hand-held tools. These included planes, end shaves, and wooden hammers. These tools were used for other work done by the woodturner including such things as chairs, cabinets, utensils, and children’s toys. It takes a long time to make some of the wooden items, because everything is done by hand. A chair, for example, may take anywhere from 18 to 50 hours depending on the size and complexity of the chair. A child’s chair takes about 18 hours, while an adult sized chair with arms takes about 50 hours. Spoons and other small items take much less time. Different wood is used for different types of work. For example, in the making of a chair, three types of wood are used: White Pine, Oak, and Ash. White Pine, a softwood, is used for the chair’s seat because it is soft and is more comfortable to sit on than a hardwood seat. Oak is used for the spindles and legs of the chair because it is strong. Ash is used for the back of the chair because it is well suited to being moulded. 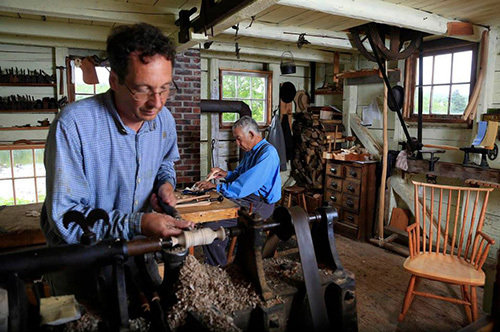 The woodturner at Sherbrooke Village uses a treadle lathe as well as other small workshop tools to make wooden work for the Restoration and for sale. 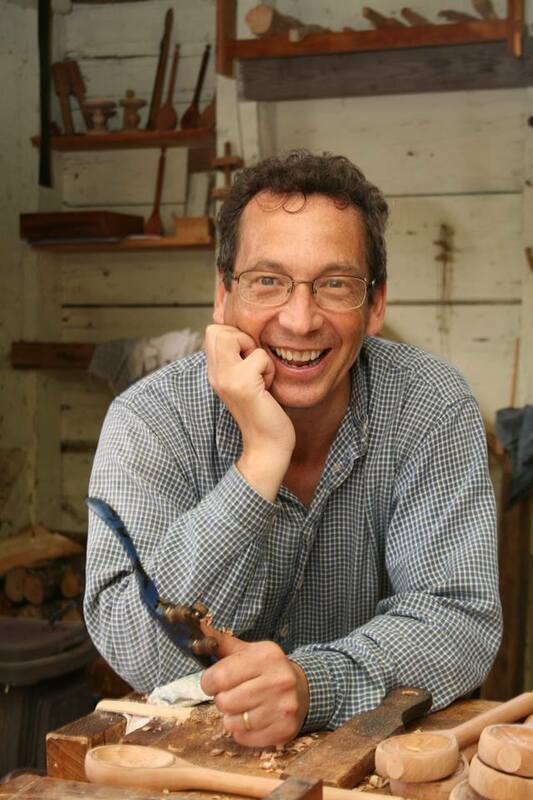 Rolling pins, chairs, yo-yos, spin tops, and wooden spoons are among the things that the woodturner makes. 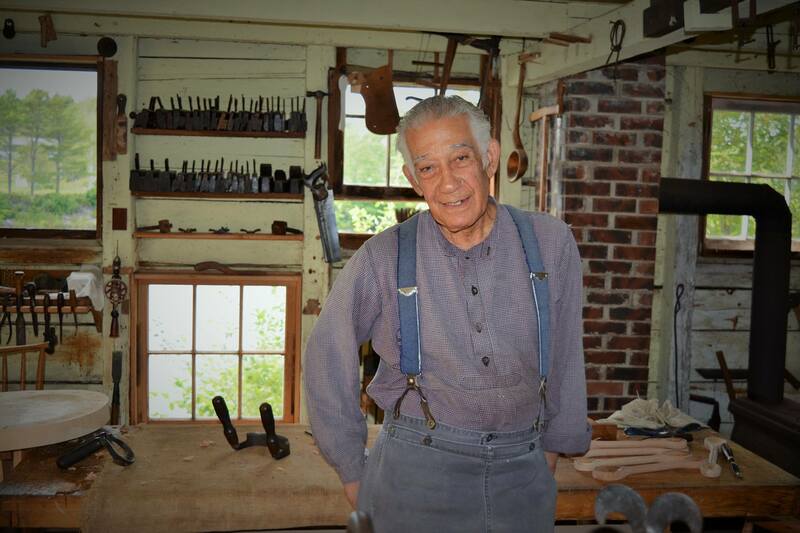 Visitors are welcome to come watch the woodturner work in our traditional 1860s shop, and they may also purchase items made by the woodturner from the Company Store.